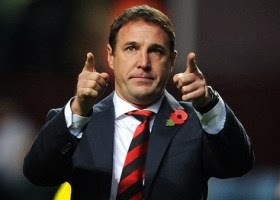 It has been reported that Cardiff City boss Malky Mackay felt Arsenal played like champions for their 3-0 win yesterday. Mackay admitted that he has no doubt that Arsenal have what it takes to retain their position at the top of the pile. He said: “They’ve got a very good chance, if they are sitting first today.